AquaChek White test strips uniquely simplify an otherwise complicated testing operation. Unlike other test kits, the AquaChek White strips will give you a specific reading of the salt level in your swimming pool and spa water. Keep your pool and your guests clean and healthy with granulated chlorine. 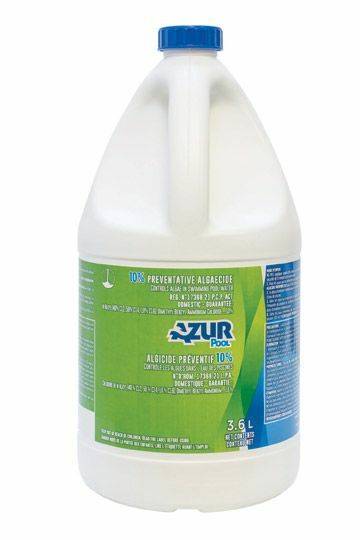 A great way to sanitize your water, this 70% granulated chlorine destroys harmful bacteria and algae that can often occurs in swimming pool waters. These pucks balance the chlorine levels of your pool or spa water, and destroy bacteria and algae keeping your pool clear and safe. Designed for the pool owner, who requires an efficient product for quality water, simply and quickly. This residential pool winter Frost Closing Kit comes with everything you need to keep your pool well-maintained over the winter season. 3.6L Preventative Algeacide 10% Controls algae in swimming pool water.